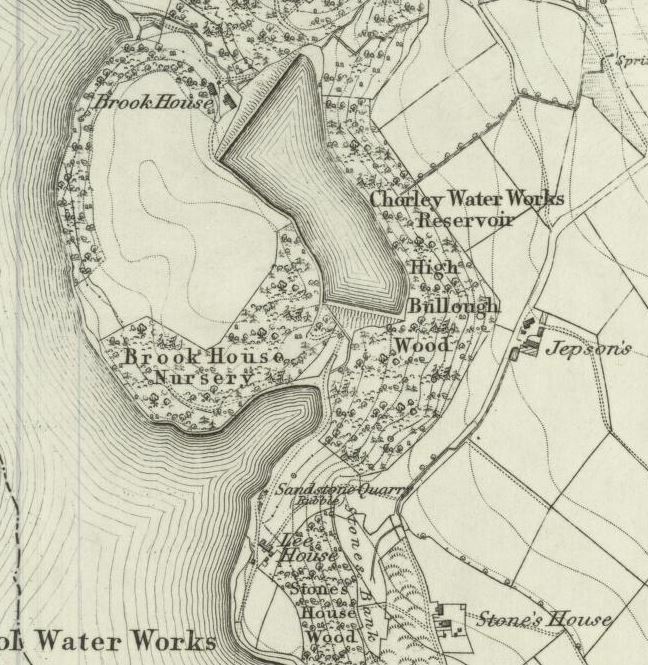 The ruins of Lee House are located on the path of the Anglezarke Woodland Trail, near High Bullough Reservoir. Lee House – and the associated Clog Inn- were the probable hub of the industry surrounding Lester Mill. 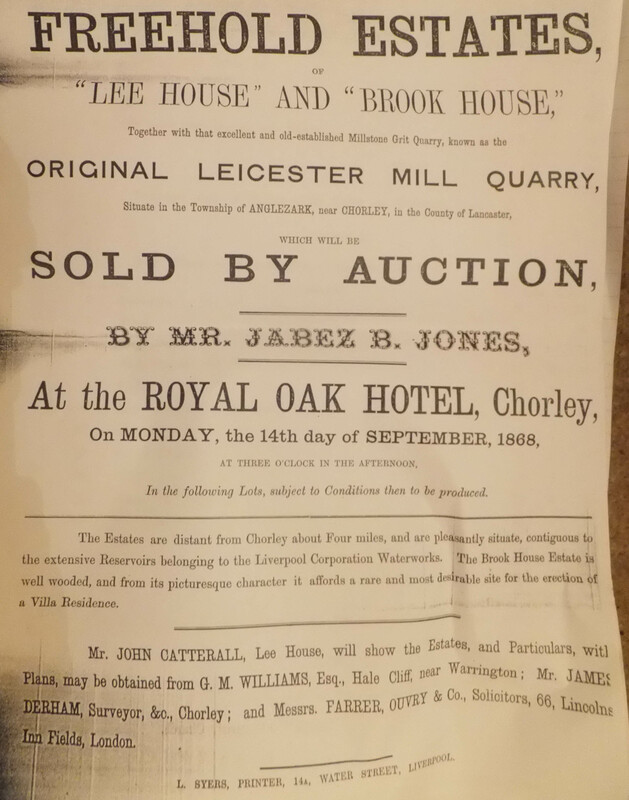 The sale of the house, along with Brook House and Leicester Mill Quarry, took place on 14th September, 1868, at the Royal Oak Hotel, Chorley. Lee House, Brook House, Stones House and Jepson’s Farm. 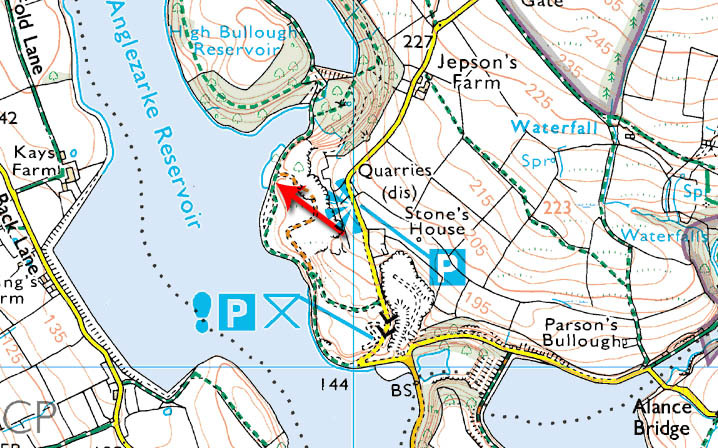 This is great walking around here- the old quarries provide a superb hunting spot for local falcons. Lee House aka The Old Clog Inn, an inn of some repute! The National Archives shows the sale of the house at http://apps.nationalarchives.gov.uk/a2a/records.aspx?cat=055-ddx86&cid=-1#-1 and whilst you cannot view the documents online, the originals are available at Chorley Library if you know where to look. 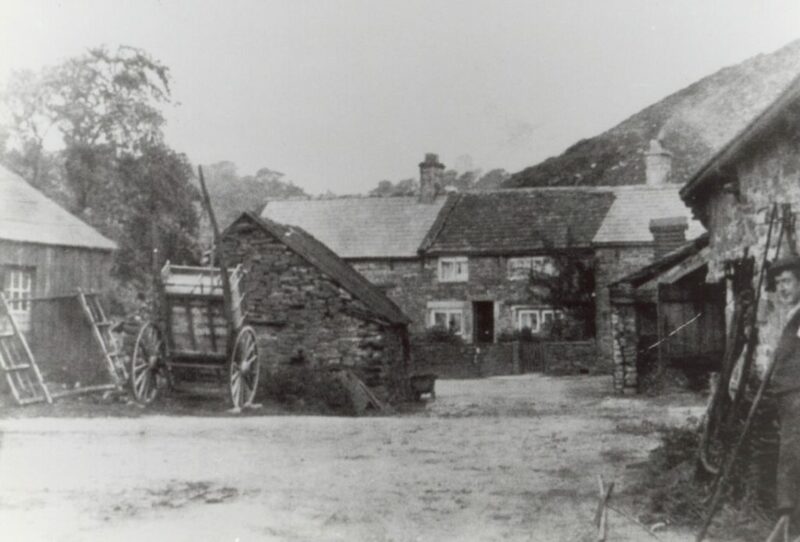 We can see in the photograph above that Lee House comprised of a house, barn and stable, along with two meadows, a millstone grit quarry, and pasture land. 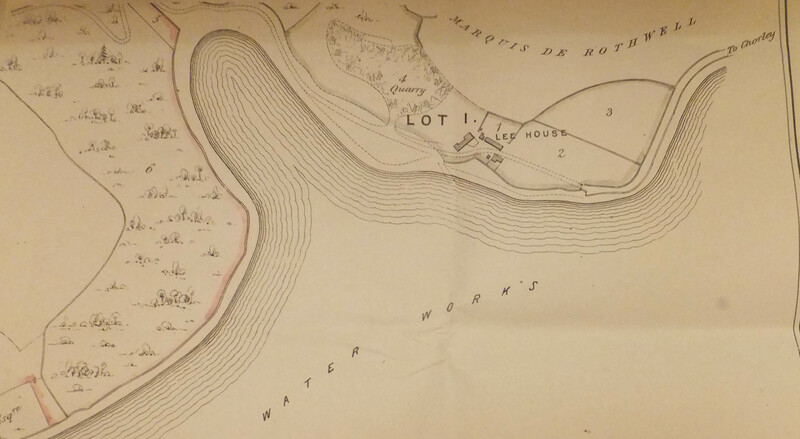 The above image shows the actual building plans, I believe there is only one copy of this map in existence, and this is the first time it has been reproduced online – with permission from Chorley Library, of course. 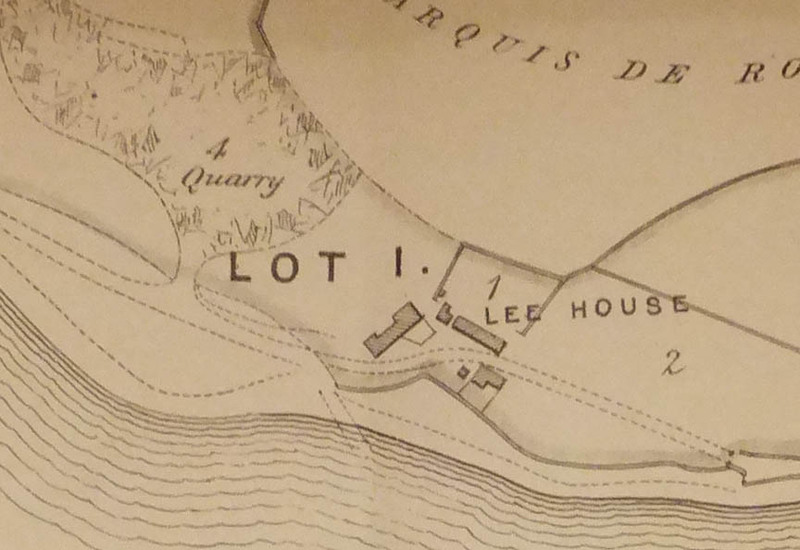 Lee House, Auction Map zoomed in. The above close-up shows the detail very clearly, with a track running through the centre of the farm, and three larger buildings, with two smaller outbuildings. The bottom, L-shaped building was the wheelwrights shop. By the track here, on the reservoir side, was an old tree that was very well grown in 1880. The tree was known as Old Tom, and the wheelwright nailed apparatus on the tree as a jig for forming cartwheel hoops. In 1995, the tree was felled, and I am sure the fallen oak is still there. 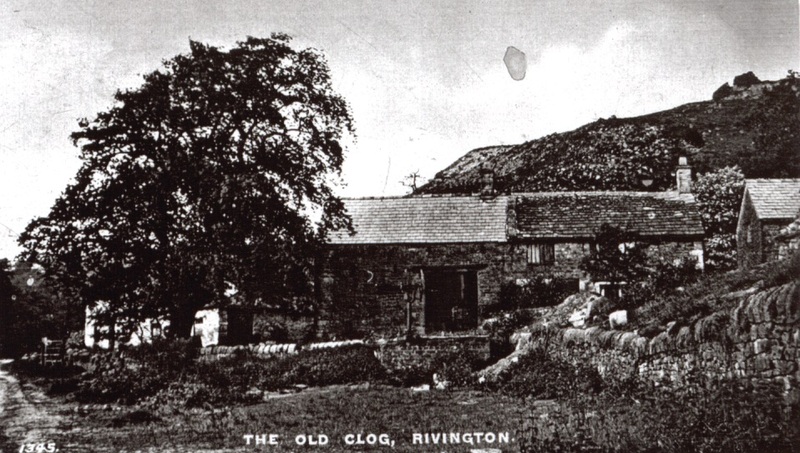 The largest of the buildings above included a pub known as The Clog Inn. I believe there was a row of buildings in this section, comprising a house as well as the pub which appeared to be a converted hay barn or shippon. 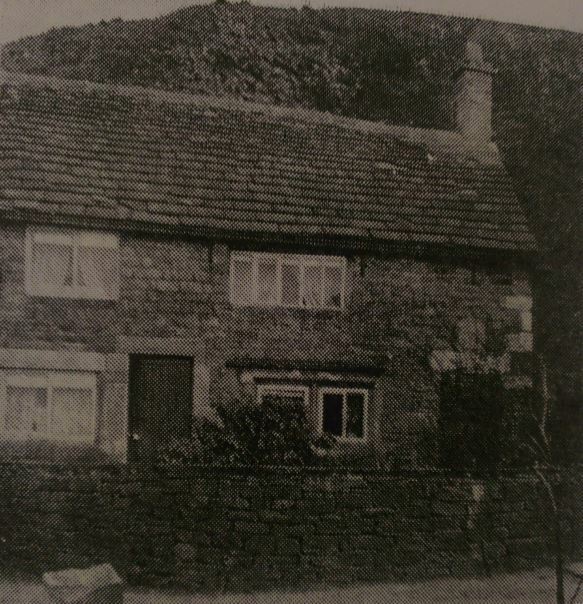 Believed to be resident at this time was a James Catterall, who married a Mary Baxendale here, and they had three children – Sarah, Ralph and Caroline.